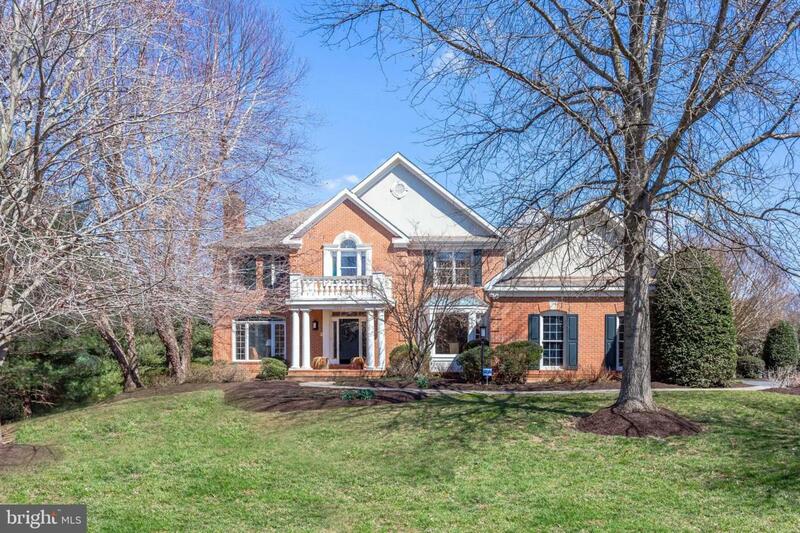 Nestled among mature trees in coveted Dogwood Farm neighborhood, this beautiful brick colonial shows like a model home & is ready for you to move right in! Wrap around deck and arbor offers brilliant vistas of the sparkling pool and spa while the expansive yard is perfect for every kind of recreation! Elegance abounds in this open floor plan with spacious proportions, soothing color palette and gleaming hardwoods on most of the main level. Entertain with ease in the relaxing family room open to the well-appointed bright kitchen! Retreat upstairs to the gracious Master Suite with sitting room featuring french doors to a private balcony for morning coffee enjoyment. 3 additional bedrooms with 2 baths complete the family quarters upstairs. The walk-out lower level provides ample space for entertaining along with a full bedroom & bath for your overnight guests.